Thank you to all those that have helped by supporting our project! 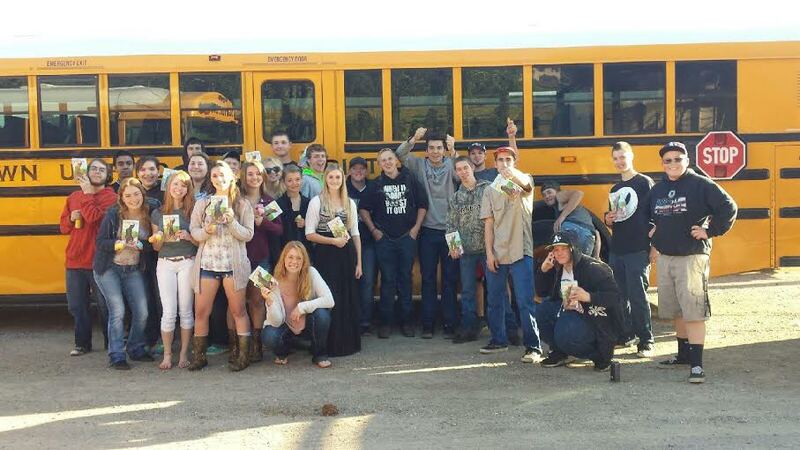 Jeff Gleaves, Ag Unlimited, Lyman Group, Inc.
High school students are set to get an early education in vinification thanks to a $50,000 grant to plant a four-acre vineyard on their school’s grounds. Justin Skinner, a junior who serves as the school farm manager, Karen Jones, teacher and overseer of the vineyard program and Principal Bill Roderick. 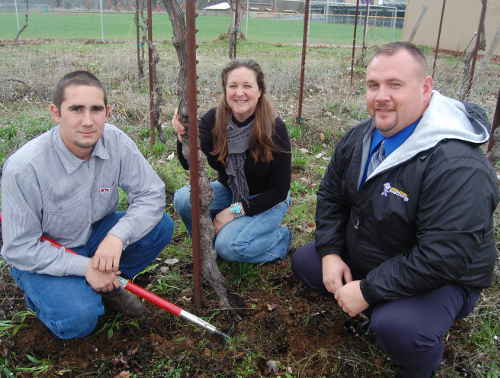 Middletown High School in Californina won the state state grant from the California Department of Education to plant vines to support a new vineyard educational program, according to a report by Lake County News. The new course will give students the chance to learn about the science and business of growing grapes. The school was one of 67 schools in the are to receive a portion of US$3.3 million in Specialised Secondary Programs grants, according to the California Department of Education’s award announcement. The California Department of Education said the grant has a long history of supporting the development of innovative, cutting edge programs that offer students the opportunity to learn real-world skills. Principal Bill Roderick told the paper: “What the kids will learn is there is a whole batch of math and science before grapes are ever turned into wine. “We can show kids that there’s an industry coming from our high school that they can 100% go into at any different level and from many different angles – from being a mechanic, a scientist, an accountant and an advertising executive. That’s what’s cool. The vineyard will be created on a five-are plot where a new elementary school was once considered for. Roderick added: “I wouldn’t expect anything to go into the ground until fall or spring. We still have planting to do, but the course will start. Teacher. Karen Jones, will oversee the project which James Creek Vineyards owner, Scott Brown and A Cut Above vineyard manager, Jim Munk have offered their to support to, while the Shannon Ridge Vineyards and Winery has endorsed it. Justin Skinner, a junior at Middletown High School and a third-generation dairy farmer, will serve as a student manager of the project.